Landlords may need to pay up to £3,500 to improve the energy efficiency of their rented homes, under regulations set to come into force next year. Since April, properties in the private rented sector have needed to have a minimum Energy Performance Certificate (EPC) rating of E.
Landlords are currently able to claim an exemption if they can’t secure government funding for energy improvements, but that’s set to change. Here, we explain how the regulations will work, who will be affected, and how you can improve the energy efficiency of your home. If you’re thinking of refinancing your buy-to-let portfolio, you can get advice on finding the right buy-to-let mortgage by calling Which? Mortgage Advisers on 0800 197 8461. In April, the government brought in Minimum Energy Efficiency Standards (MEES), requiring rented homes to have a minimum Energy Performance Certificate (EPC) rating of E.
These changes initially only covered new tenancies and renewals, although existing tenancies will also be included from 2020. 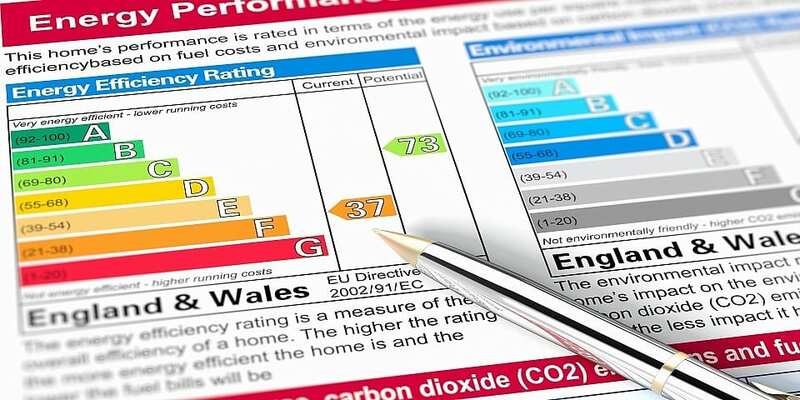 The MEES mean that landlords can no longer rent out homes with an EPC rating of F or G, and those who continue to do so face fines up to a maximum of £5,000. Currently, a ‘no cost to the landlord’ exemption is in place, meaning that if landlords can’t access funding to improve their energy efficiency (for example from the Green Deal or their local council), they won’t need to pay to make changes themselves. That exemption will be removed, making landlords liable for efficiency improvements up to a cap of £3,500. There will still be exemptions on offer for properties that would cost more than £3,500 to bring up to scratch, but landlords may still need to pay for changes that take them up to the cap. These proposals follow a consultation on energy standards earlier this year, and are expected to come into force in early 2019. The government predicts that updating older properties to a minimum EPC grade of E will cost an average of £1,200, and says these changes will improve standards in the private rented sector. Energy minister Claire Perry says: ‘While the vast majority of landlords take great pride in the properties they own, a minority still rent out housing that is difficult to keep warm. The estate agency Strutt and Parker has warned that rural landlords with older homes could be particularly vulnerable to extra costs, as upgrading their properties will be prohibitively expensive. The Residential Landlords Association (RLA), meanwhile, has expressed disappointment that the government ignored its recommendations to make energy efficiency changes tax-deductible. David Smith of the RLA says: ‘It is bizarre that, for example, replacing a broken boiler is classed as a tax-deductible repair, but this is not the case if a landlord wants to replace an old boiler with one that is more energy efficient’. On the other side of the fence, fuel poverty campaigners say that the £3,500 cap should have been set much higher, with National Energy Action claiming landlords will still be able to let out homes that are ‘dangerously cold and damp’. All properties listed for sale or rent in the UK must have a valid EPC, which provides a rating of how efficient the home is. EPC ratings range from Grade A (best) to Grade G (worst), with a better rating theoretically meaning a warmer home with lower energy bills. EPCs are granted by accredited energy assessors and last for 10 years. You can find out if your property has a valid certificate on the government’s EPC retrieval website. Although the government no longer finances Green Deal loans – which once offered funding for energy improvements – some funding is still available from approved providers, subject to a Green Deal assessment. You can find out more about how this works in our full guide to The Green Deal. 10 ways to save on energy bills – discover the simple ways you can improve your property’s efficiency. How to buy energy-saving products – learn about the running costs of different appliances. Home improvements – get the lowdown on the improvements that make the most financial sense, including loft insulation, cavity wall insulation and draught proofing. If you’re thinking of remortgaging properties in your buy-to-let portfolio, you can get advice on your mortgage options by calling Which? Mortgage Advisers on 0800 197 8461 or filling in the form below for a free call back.